In a rather interesting announcement Manga Entertainment UK have revealed that they will be releasing the Pokemon: Diamond & Pearl Movie Collection on DVD next month within the UK; specifically the 21st May 2018. 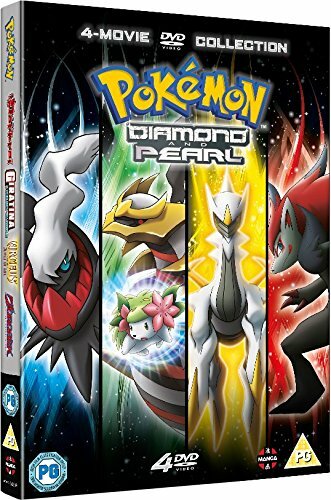 This Pokemon: Diamond & Pearl Movie Collection will consist of Pokemon: The Rise of Darkrai, Pokemon: Giratina and the Sky Warrior, Pokemon: Arceus and the Jewel of Life and Pokemon: Zoroark – Master of Illusions in the English Dubbed format across four individual DVD discs; as illustrated in the boxart. These films have previously been released on DVD by Entertainment Network (Movie 10) and Universal Pictures (Movie 11 – 13) as individual DVD releases; but they have since gone out of print. It’s unclear if this rerelease will be similar to the previous UK releases, but the Australian DVD release, of which this collection is based upon, did feature both English 5.1 and English 2.0 tracks as opposed to the English 2.0 that the original UK DVD releases by Universal Pictures had. The Rise of Darkrai: An idyllic town is thrown into chaos when two powerful Pokémon, Dialga and Palkia, cross paths and battle, distorting the dimensions of time and space. The only hope comes from Darkrai, a shadowy Pokémon shunned by the townsfolk. 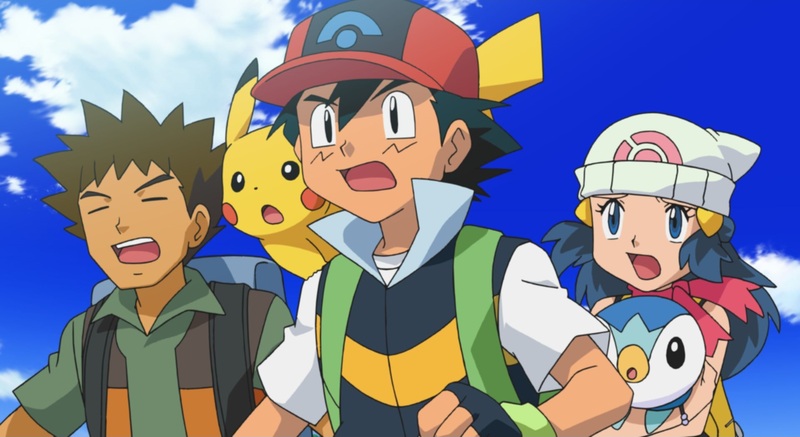 Giratina and the Sky Warrior: When a new Pokémon emerges able to create parallel dimensions, it’s up to Ash Ketchum and his friends to stop a mysterious stranger from using its powers for evil! Arceus and the Jewel of Life: Arceus, creator of the world, comes to pass judgement on humanity for the theft of the Jewel of Life, but Ash Ketchum and his friends are sent back in time to discover and possible reverse the events that led to Arceus’ vendetta. Zoroark – Master of Illusions: A greedy, manipulative media mogul seeks to capture Celebi for nefarious purposes, using the shape-shifting Pokémon, Zoroark, to hunt it down. Pokemon: Diamond & Pearl Movie Collection is currently scheduled for release on the 21st May 2018 and is also available to pre-order from Amazon UK.